As you will be aware, we ran a ‘Travel Slogan’ competition. 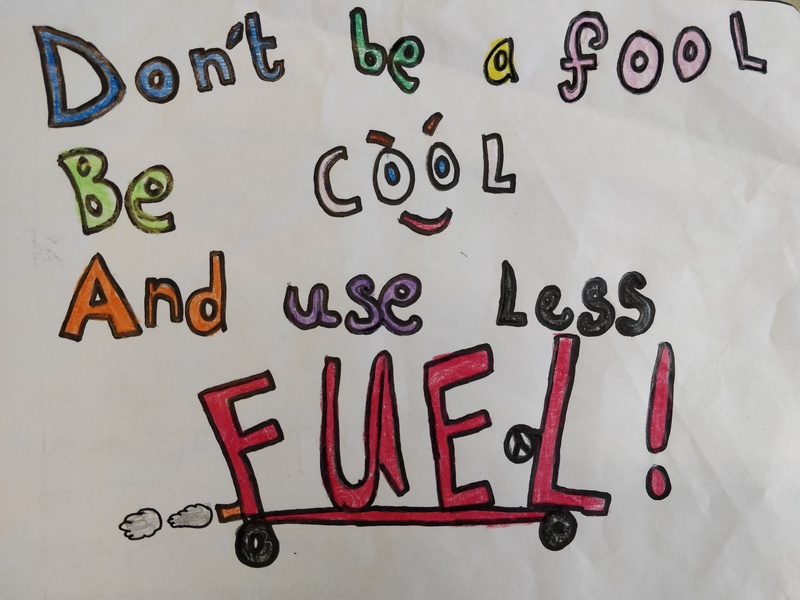 There were excellent entries throughout the school but our overall winner was Luke in Mr Conlon’s 5th class with the slogan ‘DON’T BE A FOOL, BE COOL AND USE LESS FUEL!. Well done Luke and all the boys who are making a conscious effort to change their travel habits for the BIG TRAVEL CHALLENGE.